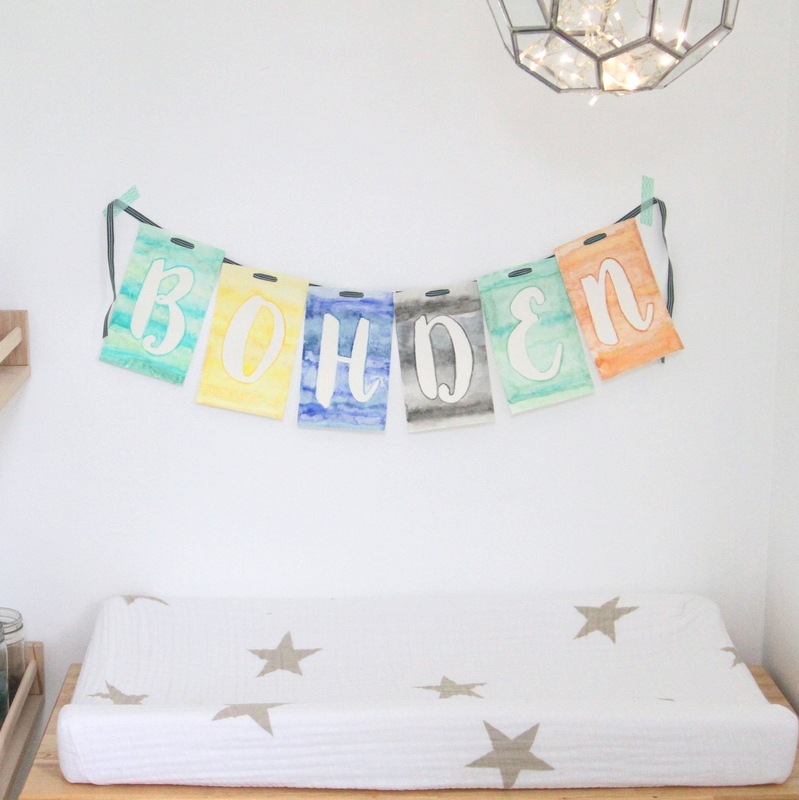 Apparently my nesting instincts were in overdrive last summer, because as we approached Bohden’s due date, every single thing I had put on my rather extensive “Get Ready for Baby Boy” to do list was checked off and done a couple weeks before his due date. And I wasn’t really in a ‘sit around and relax’ kind of mood those last couple weeks, so our house turned into Baby Project Central. To fill the waiting minutes, I sewed and knitted and painted and decorated. In fact, I made a whole pile of little rompers and baby blankets and projects for his tiny nursery. 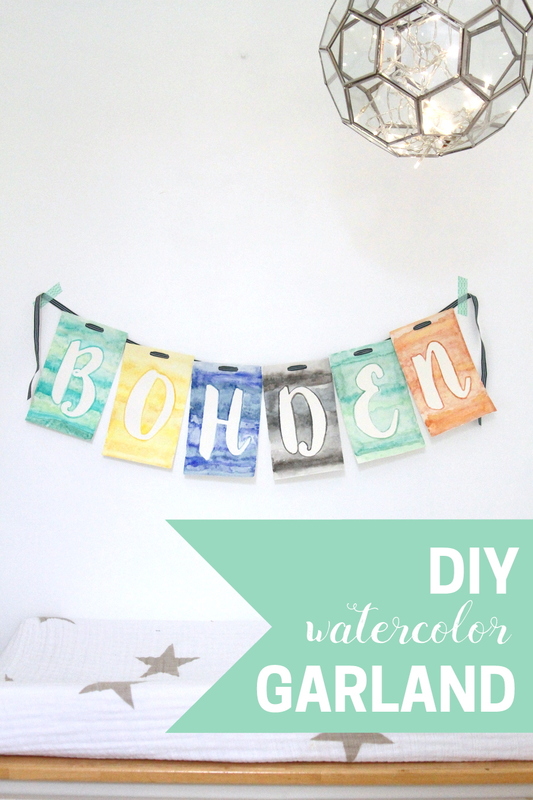 This watercolor garland was one of those projects. To make it, I printed 4×6 sized outlines of the letters in his name (B-O-H-D-E-N). 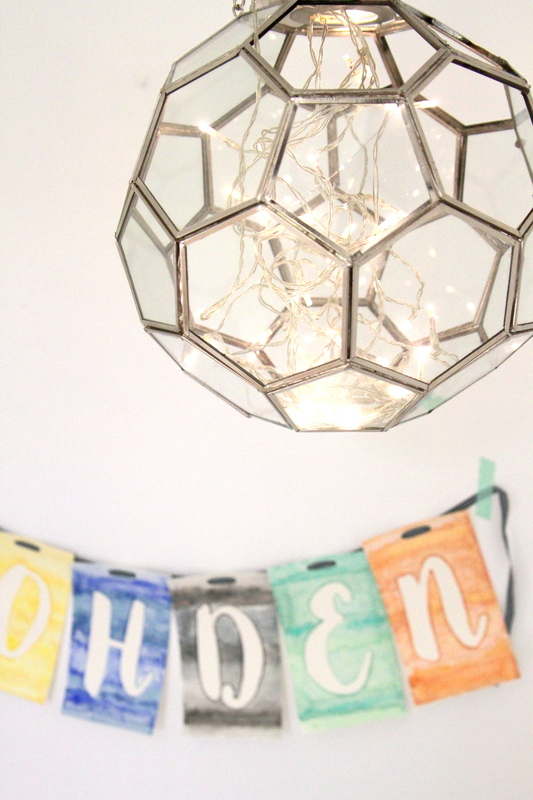 I placed each printed letter on one garland ‘flag’ and traced the letter with a heavy hand. Then, I used the resulting outline to make my garland. 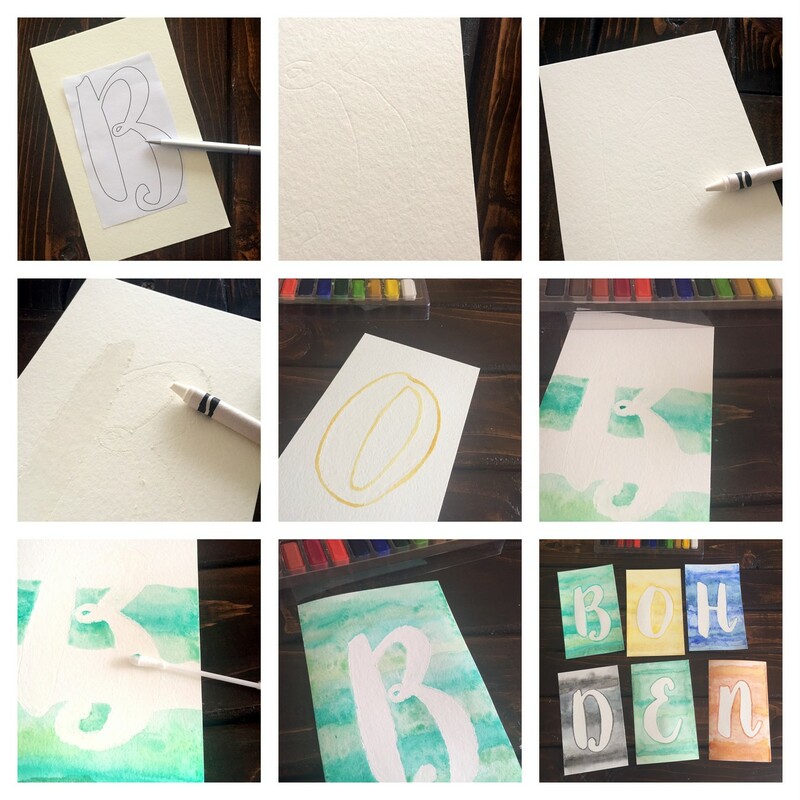 I colored each letter in with white crayon, outlined the letters with watercolors, and then painted the background with a gradient of watercolors. 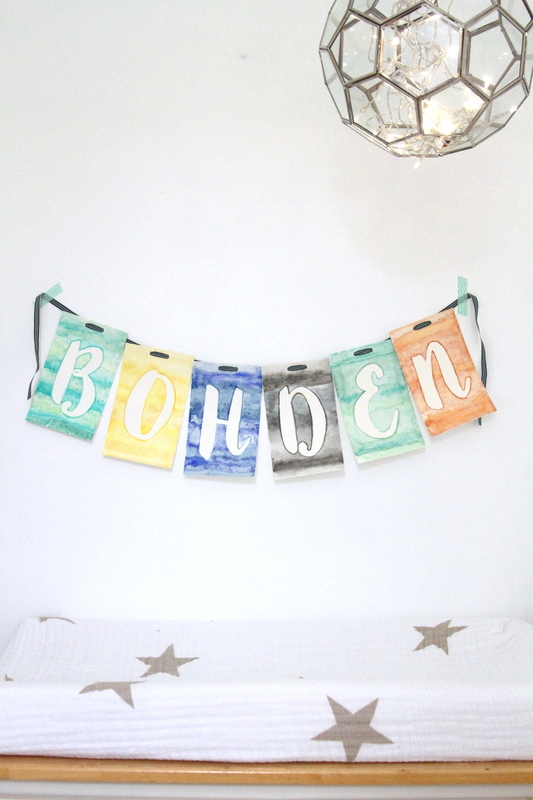 After stringing my little letter lineup onto some ribbon, I had a sweet watercolored “Bohden” garland to hang above his changing table. In fact, it’s one of the projects I tucked into a suitcase and brought back with us. Someday, when I start working on his nursery here, this will find a spot in his new space as well.